Aqua Rite provides complete pool and spa sanitization using ordinary salt. It converts a small amount of salt – approximately one teaspoon per gallon of pool water, less than any other manufacturer – into a virtually endless supply of fresh, pure chlorine. 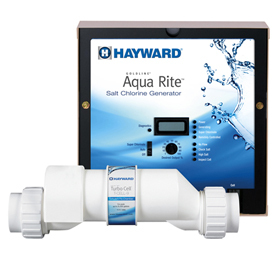 The automated chlorination makes it easier to maintain balanced water chemistry. This environmentally friendly and self-renewing process produces up to 1.45 pounds of chlorine a day, enough to keep the water in a 40,000-gallon pool clean, clear and luxuriously soft. Variable-speed pumps are the ultimate way to save energy. 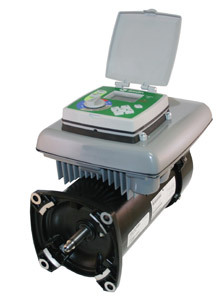 The new variable-speed Super Pump VS can help reduce energy costs over traditional single-speed pool pumps up to 80%. Super Pump VS provides customizable speed, duration and priming time to match the needs of both aftermarket and new construction installations. With a SwimClear™ large-capacity cartridge filter there is no backwashing; instead, you just rinse the filter elements with your garden hose, saving you up to 2,500 gallons of water every season. 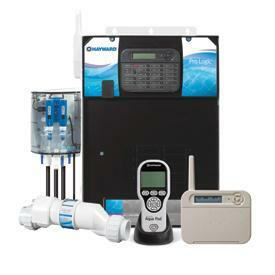 Automate your backyard and save upto 75% on your pool’s energy costs. Automating your variable-speed pump can save you up to $1,200 a year - maximizing water flow while minimizing energy consumption. 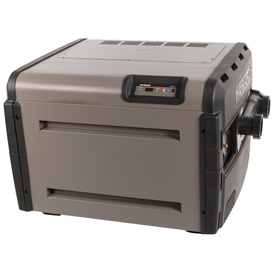 Universal H-Series Low NOx heater has an industry-leading thermal efficiency. The low NOx emission makes it a perfect choice for the environmentally conscious pool owner. Its hydraulic performance also saves energy by reducing the circulation time of the pump and can raise the temperature of 1000 gallons 30degrees in under an hour. 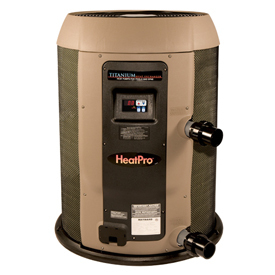 Hayward's HeatPro Heat Pump, a high-efficiency heater, gives you the ideal water temperature while using 80% less energy than natural gas heaters. It offers an alternative way to heat your pool that is safe, reliable, and energy efficient. HeatPro takes the heat from the surrounding air and uses it to warm the water in your pool eliminating wasted energy. With its precision electronic temperature control, the water temperature is constantly maintained, providing continued energy savings. Click on images below for more information about these products. In recent years a greater emphasis has been placed on installing and using products that are more environmentally friendly. 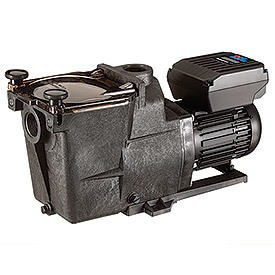 Variable speed pumps can help you customize the speed to fit your pool which will help you avoid the one-size-fits-all, energy wasting approach. Salt chlorine generators are also a wonderful way to reduce your pool's environmental footprint. Installing a control system or timers can help you customize your pool's filtration by allowing you to set your system to turn on and off at times that you specify. Over the course of their lifetime, these products pay for themselves through reduced energy bills. Versatility and performance best describe A. O. Smith’s new V-Green™ variable speed pump motor with integrated timer. Capable of delivering superior energy savings of over 80% versus a standard single-speed motor, V-Green motors are well suited for pump applications ranging from 3/4 - 2.7 HP. The Delta UV sanitizers offer a safer pool experience for you and your family. As water circulates throught the UV sanitizer, type C ultraviolet rays purify the water by deactivating the dangerous micro-organisms, resulting in the cleanest and purest water possible for your pool. 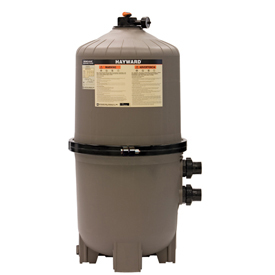 This will significantly reduce your pool's consumption of chlorine.